Quantum Vision Centers has been the leader in Lasik Surgery in Southern Illinois for more than 25 years. Our experienced team of surgeons has corrected tens of thousands of eyes! The treatments are customized to each patient to give the best possible visual outcome. Ground breaking technology, in conjunction with our experienced surgeons, is what creates excellent outcomes. All of our surgeons utilize the Wavelight® FS200 Femtosecond Laser for creating the flap, and the Allegretto Wave® Eye-Q Laser to reshape the cornea. This is a marriage of the two best FDA approved lasers available and Quantum Vision Centers was the first to offer this leading-edge technology in this region. 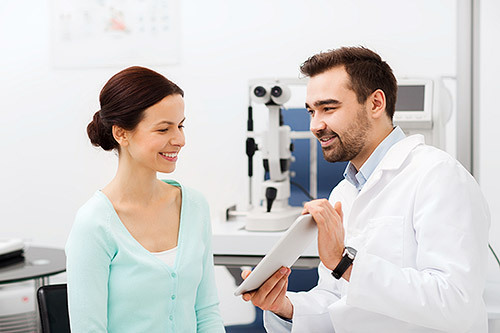 WaveLight® was the first company to introduce high-speed laser vision correction in the U.S. Now, the Allegretto Wave® Eye-Q takes the technology one step further with the excimer laser system available today. Thanks to the incredible power of the laser, many patients can have their vision corrected in as little as eight seconds. At the same time, the Allegretto Wave® Eye-Q delivers superior results, with less risk of side effects. Maintains the natural shape of the cornea for most patients. Is the most sophisticated eye tracker utilizing 3 infra-red cameras to track eye movement during the procedure at a rate of 400 frames per second. Is the fastest laser available in the United States. If you have a Flexible Benefit Plan or “Cafeteria Plan” you may use this for your procedure. Vision correction may also be tax deductible as a medical expense (check with your financial adviser). Quantum Vision Centers offers affordable payment plans through Care Credit and will be happy to assist you with paperwork. Call (618) 316-1467 to speak to our Refractive Coordinator or send an email to lhurst@quantumvisioncenters.com.